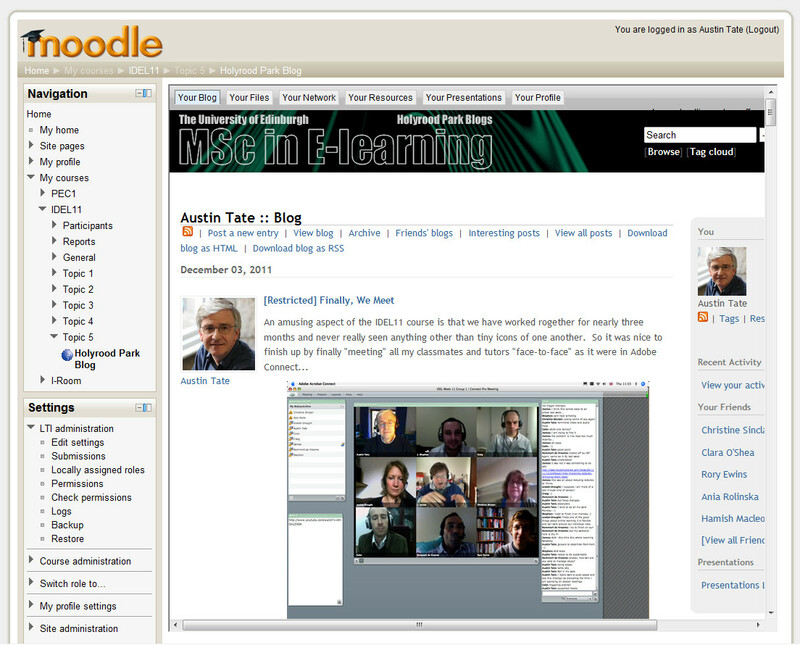 But the same mechanism allows for effectively any external tool to be easily embedded (above showing the Edinburgh MSc in e-Learning IDEL11 Course Holyrood Park ELGG Blog). The simple mechanism just means you input the URL from which the tool or contents are served. More advanced facilities allow for proper IMS LTI integration. See the image of the advanced version of the tool options. This entry was posted in IDEL11, Moodle and tagged Moodle. Bookmark the permalink.